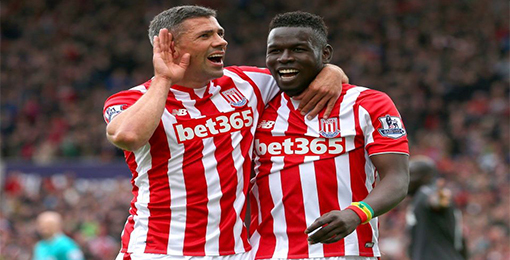 If you want to buy cheap stoke city shirt for 2018-19 season, buy it here in cheap-football.com , Check our exclusive range of stoke city Football Shirts / Soccer Jerseys and Kits for adults and children at amazing prices. Get the cheap stoke city jersey shirts, soccer kits with wholesale price, Free Shipping Worldwide! Stoke City Football Club is a professional football club based in Stoke-on-Trent, Staffordshire, England, which plays in the FL Championship, the second division of English football.Founded as Stoke Ramblers in 1863, the club changed its name to Stoke in 1878 and then to Stoke City in 1925 after Stoke-on-Trent gained city status. They are the second oldest professional football club in the world, after Notts County, and are one of the founding members of the Football League.His first, and to date only important trophy, was achieved in 1972 by winning the League Cup, when the team beat Chelsea 2-1.